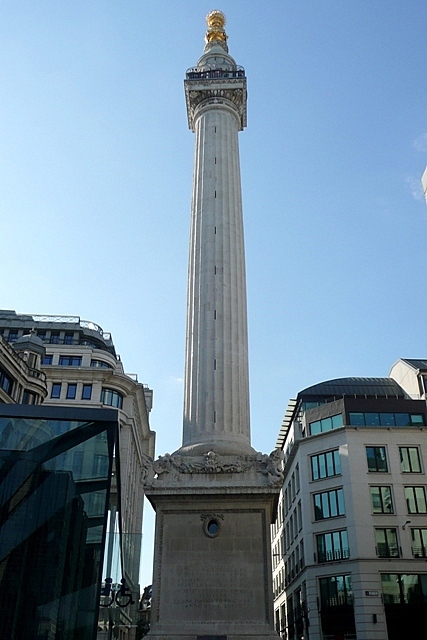 The Monument in London, completed in 1Image sourced from http://guialondres.es/the-monument unsure of license. If they complain I’ll remove it. Note: I am not a historian, I just enjoy history. I’m not trying to push any thesis or view of history; I’m just trying to explain why I found myself laughing while looking at the Monument to the Fire of London. If you object to things I say or how I’m talking about history please tell me and I will be happy to listen, I like learning about history. In 753 off on the fringes of the east Mediterranean’s civilized world, a small group of disreputable Latins founded a city. According to legend they had to steal wives from a neighboring settlement because no one wanted to marry into a city of vagabonds and outcasts. They managed to fight of the husbands, fathers, and brothers of their new wives and so the second generation of the city of Rome was born. Over the centuries Rome grew from an inconsequential city on the edges of the known world, fighting with their neighbors over salt flats, to the great power of the Mediterranean. And for nearly four centuries Roman imperium stretched from London to Alexandria. Under the Pax Romana the arts and letters flourished, creating a vast store of knowledge written and compiled in Latin. Books and scrolls were written on medicine, history, politics, science, and religion. Those books were scattered across the empire, ending up in private collections, libraries, churches, and government offices. Throughout the empire a proper eduction meant learning Latin and Greek and reading the great works of Homer, Cicero, and Caesar. And so when the West finally fell, it left behind it’s roads, it’s churches, it’s books, and it’s language. For the next thousand years as European civilization tried to raise itself back up to Roman standards, Latin was the language of religion, diplomacy, law, and academia. All official business, all church services, and all church records were conducted in Latin. and the ancient learning would be copied through the centuries by monks reading and writing Latin. In the year 1666, a century or so into the Renaissance, with Europe beginning to reach new civilizational heights, London burned to the ground. As King Charles rebuilt, he commissioned a monument to be built near the site where the blaze had started. The monument was a great pillar and on its base was carved messages telling of the fire, the response, and the reconstruction. The messages were carved in bold letters for people to read for hundreds or thousands of years. And so of course it was written in Latin, the language that had dominated their world for almost two thousand years. Almost as an afterthought they eventually put small metal plates at around eye level on the plinth, translating the carvings into the local, temporary English. In the three hundred years since that monument was raised the British Empire rose and rose to become the largest empire the the world has ever seen. Where Pompey had made the Mediterranean a Roman lake, the Royal Navy was at home in every ocean the world over. When the Empire fell apart in the mid-1900’s the world order that replaced it was still run by the English speaking United States. Inn 1962 Vatican 2 ended with Roman Catholic Church finally abandoning Latin and beginning to have services done in the local vernacular. For large parts of the world, this meant English. In the Spring of 2018, I stood and looked at the monument, at the great inscriptions, and the small translations, and I couldn’t help but laugh. Today we look back on history from a new civilizational high point. One who’s knowledge and power is compiled in books, hard disks, and servers. And from Wikipedia, to the Libraries of Congress, Harvard, Oxford, and Berkeley, the greatest portion of this knowledge is compiled in English. English has become the international language of commerce, diplomacy, science, engineering, computation, medicine, and more. If humanity is hit by another civilization fall like the Roman’s, Egyptians, or Assyrians were, the language that we will bequeath to our decedents huddled in our ruins will be English. And even if we don’t have a fall, Latin has lost it’s place as a language of importance for anyone besides historians and a few specialized area of law. 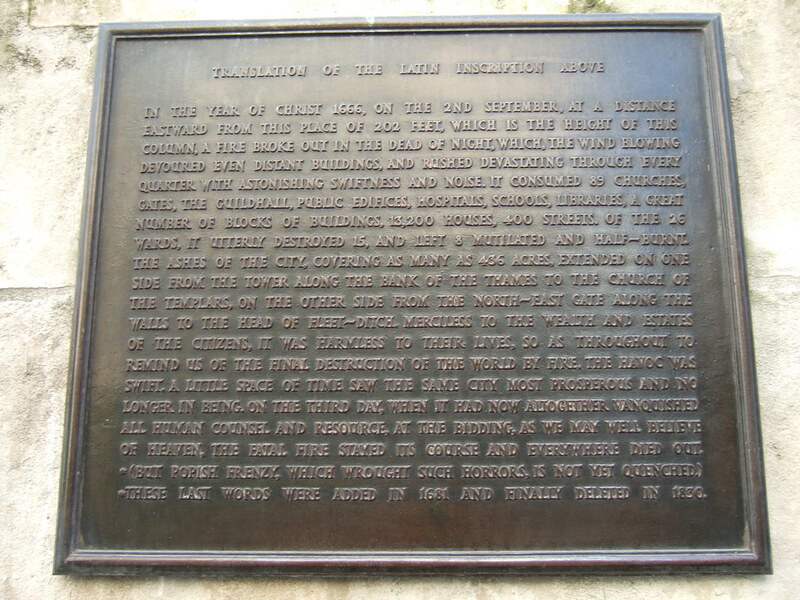 So whether or not our civilizational heights are a peak or a step up an even higher mountain, if King Charles had wanted his Monument to be read for the next thousand years, he would have been better off carving the English into his pillar and putting the Latin on the little metal plaques at the bottom. My name is Matthew Gray, I’m a student and researcher at UC Santa Cruz. I enjoy learning and teaching stuff from the intersection of Mathematics and Computer Science. I also really enjoy History. I’m currently spending Trinity term studying at Oxford University. Most likely my posts will be about my time traveling around Britain and Europe. We’ll see what if anything happens.